Employers of all sizes are recognizing the need to perform due diligence in the form of background investigations on both prospective and current employees. Some employers genuinely are seeking to protect their assets, employees, customers, and the general public from unsafe, dishonest, or dangerous employees. Many other employers are primarily motivated out of concern that they may face civil liability for the actions of their employers. In most cases, these and other factors motivate employers to seek background investigations. With the growing demand for these investigations, the background screening industry has exploded in recent years. Better technology, research sources, and training have increased the ability of background investigators to deliver timely and accurate information to their customers. However, some of our professions’ responses to this growing demand have been shortsighted and created, rather than mitigated, our clients’ risks. Some employment screening firms offer a “nationwide” or “national” criminal background database and would suggest, by inference if not overtly, that this check includes the records of most, if not all, of the criminal jurisdictions in the country. Many employers, either in ignorance or as a compromise to their budget concerns, purchase these third-party criminal record database searches as a complete background investigation. Using a database product as a background investigation is like buying a bag of flour and expecting it to taste like an apple pie. A national criminal records database. Simply put, no such record source exists. In fact, the Federal Bureau of Investigation has spent years and millions of dollars trying to develop such a system and, by the FBI’s own admission, it isn’t nearly complete. The overwhelming majority of jurisdictions don’t make their records available in a database format and some of those limit the kinds of records that are available. For instance, they often include only felony records and almost never include active criminal cases. When the data is purchased from a state criminal agency’s records, those records are notoriously inaccurate and incomplete. What these database companies are really selling are the limited records purchased from a patchwork of criminal jurisdictions over time. Often, these jurisdictions sell these records at a premium, which means the database companies may only update their information on a semi-annual or less frequent basis. One research firm ran the names of 500 convicted criminals through one of the most aggressive criminal records database companies. 87% of the responses returned by the database were “no records found” or the records returned were incomplete. In addition to the many missing records, there are several problems with the records that are included in the databases. Often, jurisdictions include only limited identifiers in the information provided to the database companies, resulting in many name-match only records being reported. Even when a name and date of birth on a record is matched to that of the investigation subject, important additional identifiers such as address or drivers license number are not typically included. How many John Smiths might have been born on a given day thirty years ago? Other errors found in the database records include changes to disposition that aren’t included in the database records, including expunctions and deferred adjudication revocations. Our firm recently discovered an expunged record in one of the largest criminal records databases. In discussing it with the employment applicant, we learned that the case had been expunged over two years earlier. 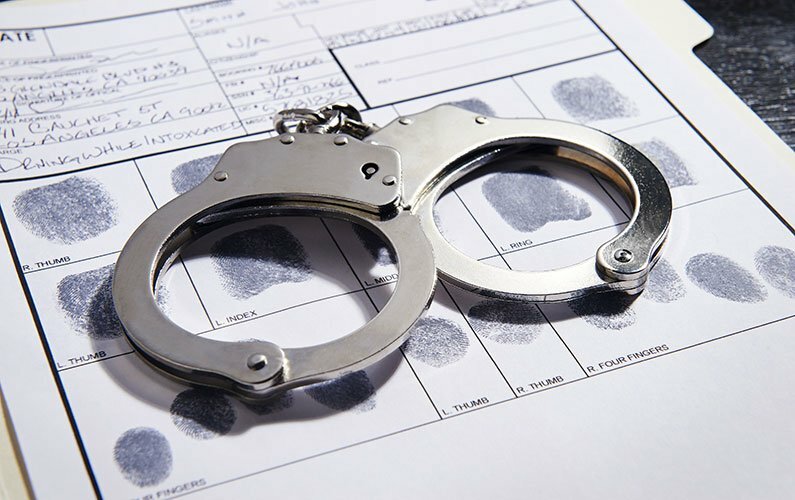 Even given these limitations, these third-party criminal records databases can be useful. My firm often locates criminal records in jurisdictions where we would not have otherwise searched by first running a database search. We then add those jurisdictions to the main research item in any credible background investigation – real-time county-level records searches. The quality of our overall product is supplemented by the appropriate use of the database. “Maintain strict procedures” to ensure that the reported information matches the current public record. In other words, verify the record with the court. Contemporaneous notification is the method many of the database companies and some other CRAs employ to comply with the FCRA, if they attempt to comply at all. This does nothing to ensure that the information provided by the database is correct and puts the onus on the consumer to dispute the accuracy of the information, which is not the expectation outlined in section 607(b) of the FCRA. Additionally, while the employer typically receives the information instantly over the Internet, the database companies usually mail the information to the consumer. This often means that the employer has already made their employment decision based upon the database report before the consumer is even aware that the information has been provided. Though the Federal Trade Commission has said that this is an acceptable process, it is a poor business practice and detrimental to our profession’s public image. The most reasonable procedure for compliance with both section 607(b) and 613(a) would be to verify the records found before reporting them to the employer. Our firm never releases the records produced in a public records database to our clients. Those results are only reported under the jurisdiction where the record originated. Alternatively, if contemporaneous notification is to be used, the CRA should send the information to the employer and the consumer in the same fashion. This may mean that the employer could not see the record online until the consumer has logged into the system to view the record or perhaps the employer would receive the record via first class mail if that is how the record is to be communicated to the consumer. The reason the third-party criminal records databases are so popular with employers and CRAs is simple: they are cheap and fast. Many purveyors of database records claim that their clients can’t afford to purchase a real background investigation. Often, the budget-strapped clients include those providing care to children, the infirm, the elderly, and other vulnerable populations. The reality is that these organizations, and those to whom they minister, cannot afford these cheap background checks. The assertion that an individual passed a background check gives that individual increased credibility and helps earn the trust of the community in which they live and work. When the background check is paper-thin and inaccurate, perpetrators looking for their next victim can easily move into positions where they can compromise that trust. Background investigations are a cost of doing business, no different from paying taxes, paying the electricity bill, or training employees. Organizations must simply recognize the importance of protecting their assets, employees, and the public and recognize the cost of a meaningful background investigation simply as an investment toward that end. To that end, reputable background investigations firms should continue to speak out against the “get rich quick” mentality of those who continue to sell inferior database records to employers without regard for their accuracy or reliability.